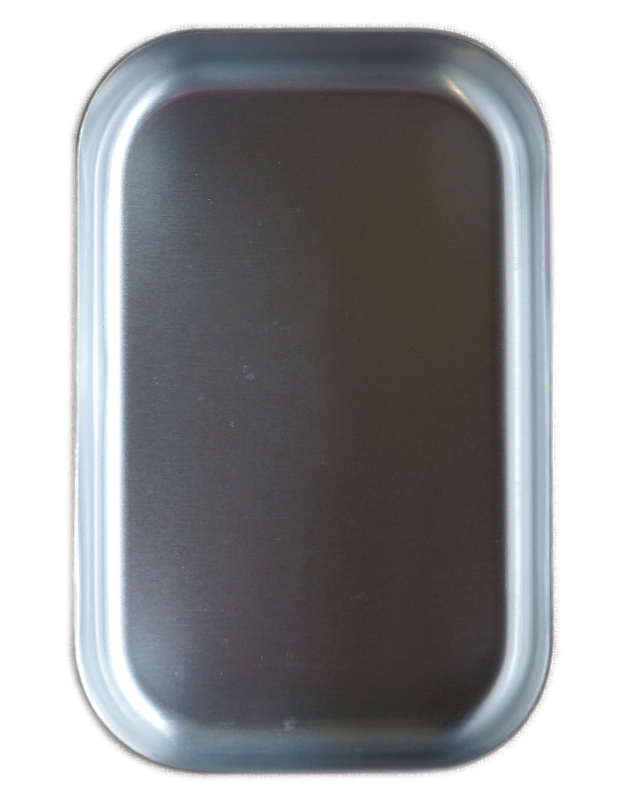 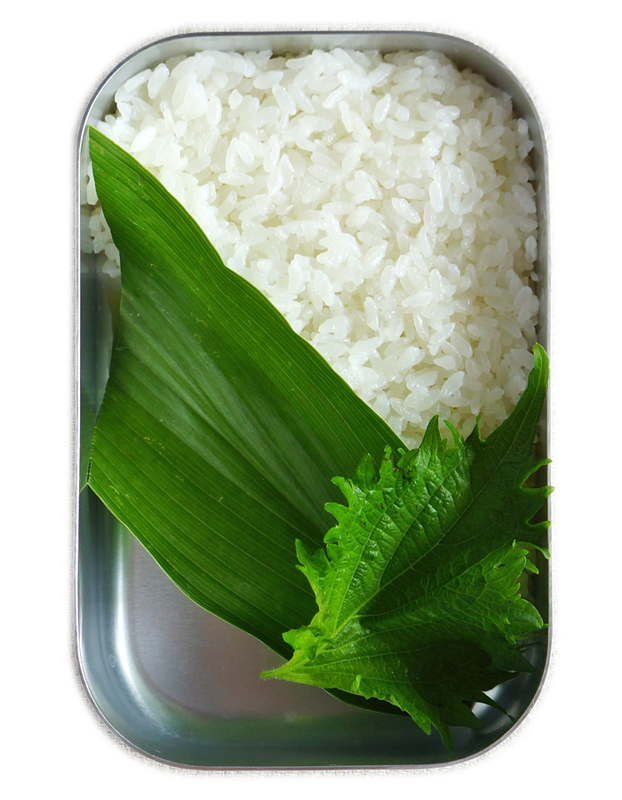 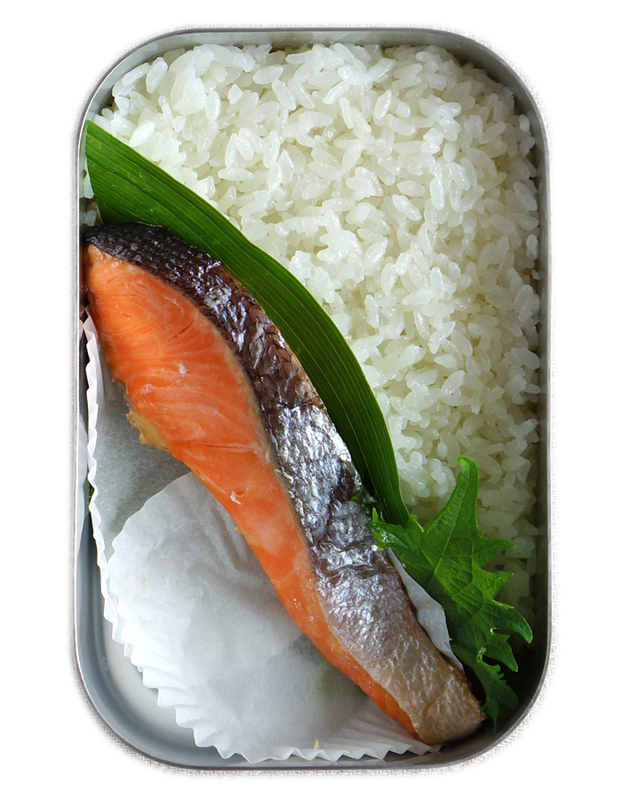 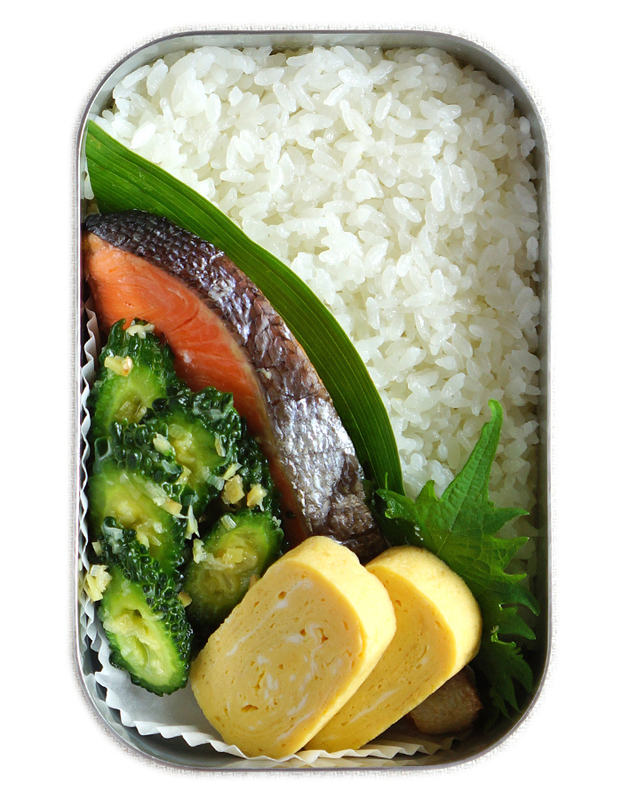 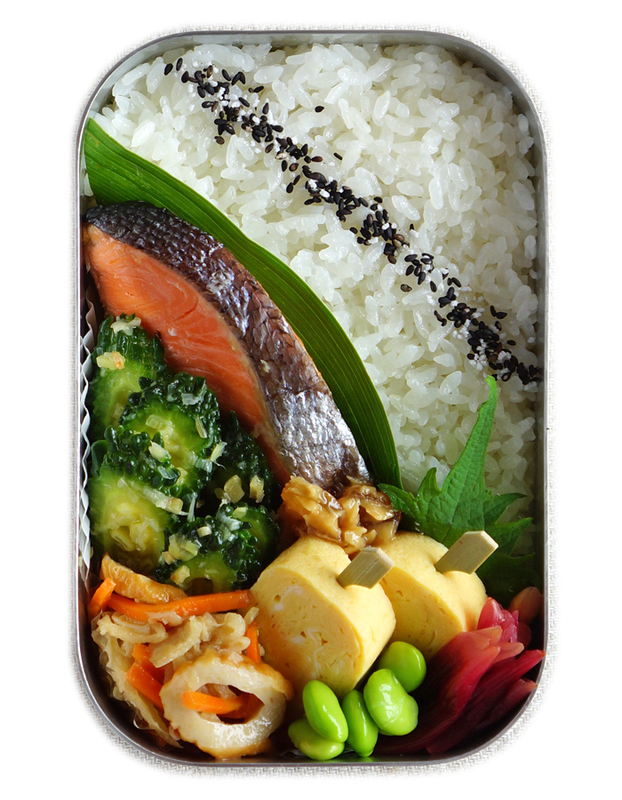 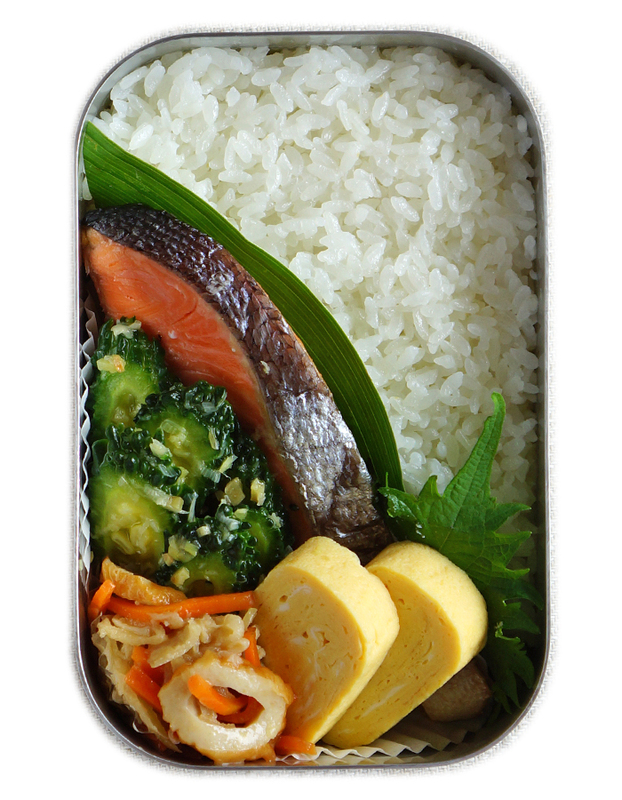 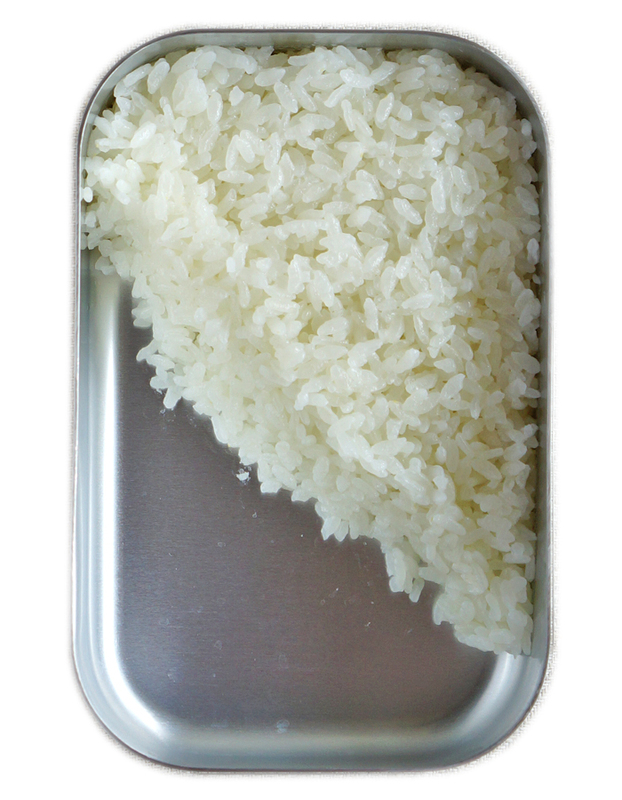 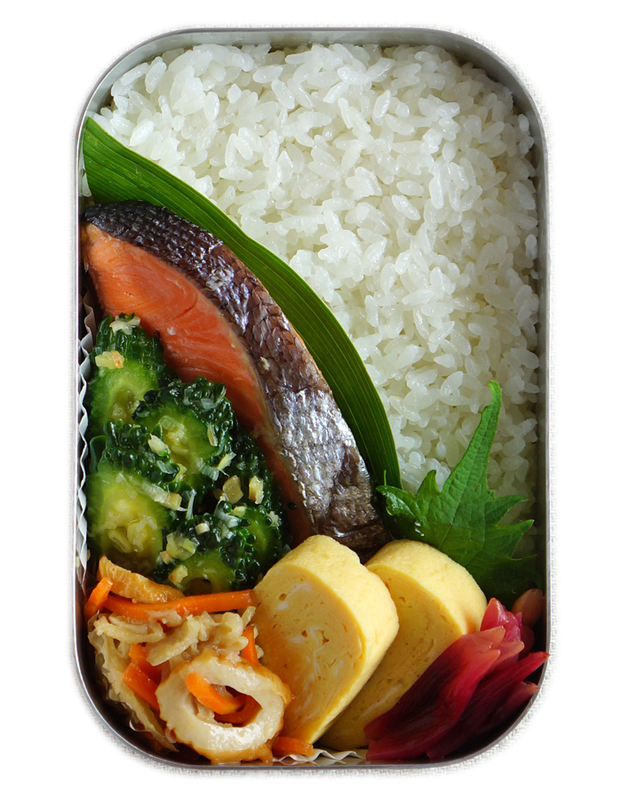 In this case, pack rice into the bento box diagonally and use shiso leaf and haran as a divider. 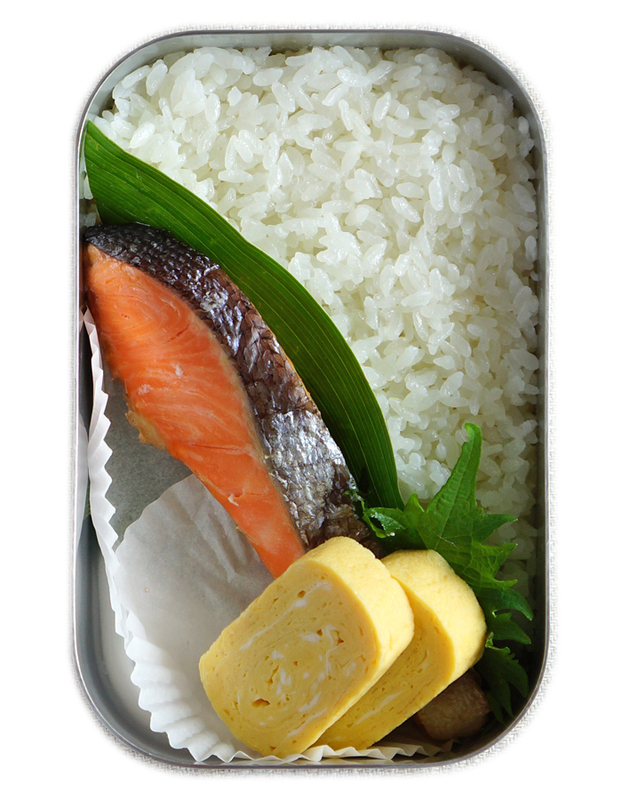 In this case, put the roasted salty salmon and then pack rolled omelett in the box. 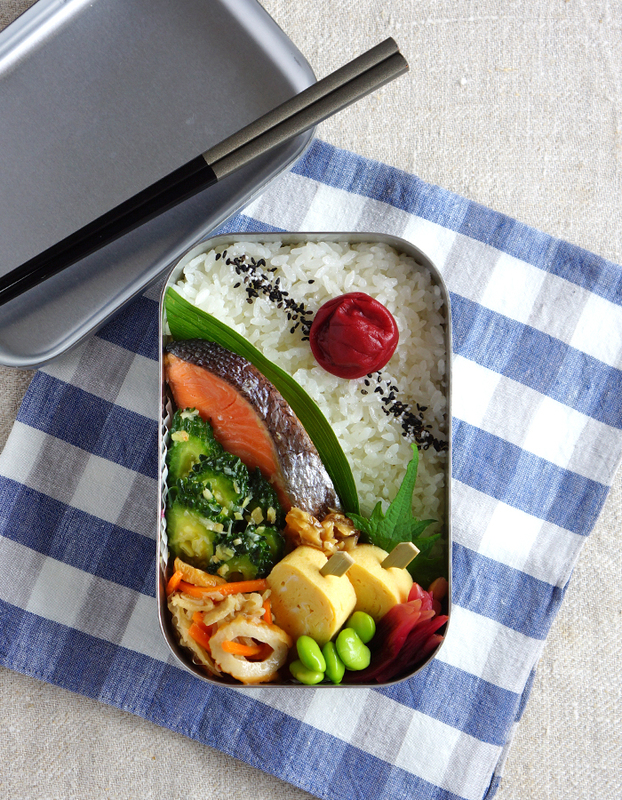 In this case, I put bitter melon stir-fry, kiriboshi daikon radish salad and myoga pickles in the box. 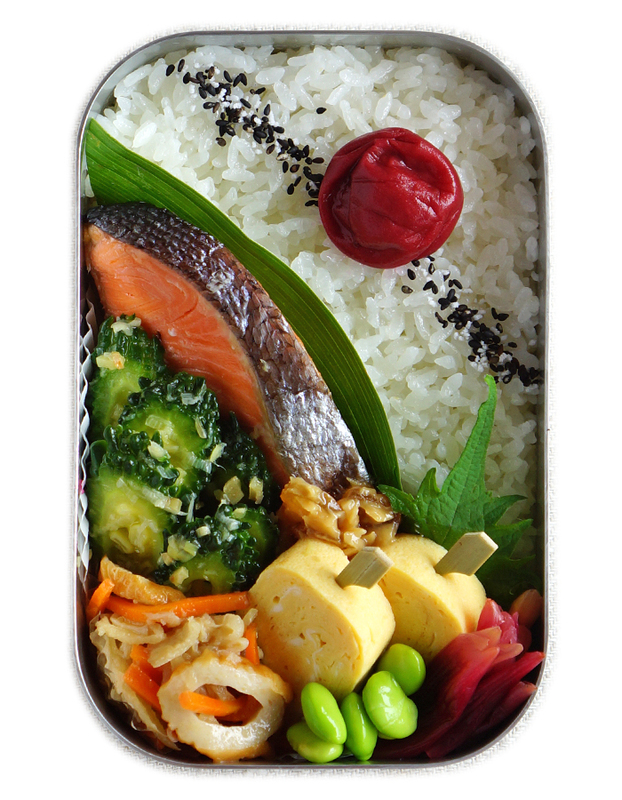 In this case, I filled the tiny empty space with edamame, skewered rolled omelette up, sprinkled goma-sio on top of the rice and put umeboshi on the rice.